“I refuse to give up! Somebody gotta feel my pain” tweeted Jac’que Polite in mid-July with a video of him running ladder drills. After going un-drafted in the 2017 NFL Draft and becoming a causality of the numbers game as an un-drafted free agent with the Buffalo Bills, it would have been easy for Jac’que Polite to hang his head, but those set backs only fueled him to work harder to reach his goals. Now, his hard work has paid off as he has signed a two-year deal with the B.C. Lions of the CFL. “I am truly excited to be apart of the BC lions organization for the next 2 years. I can’t wait to get to work#DreamsDoComeTrue” Jac’Que posted on his Facebook page along with pictures of him signing the contract. Jac’Que Polite was named to the Boxtorow HBCU All-American, AFCA All-American honor, as well as an HBCU Gameday All-American. Polite was a first team All-CIAA selection in 2015 & 2016 and a two-time first team All-CIAA selection, Polite helped guide the Rams to back to back CIAA Titles and advanced to the first round of the NCAA DII Playoffs. If you follow Polite on Social Media one thing is obvious… He loves being in the gym. Polite’s feed is back-to-back workout videos of him lifting weights, doing bag drills, and practicing footwork. 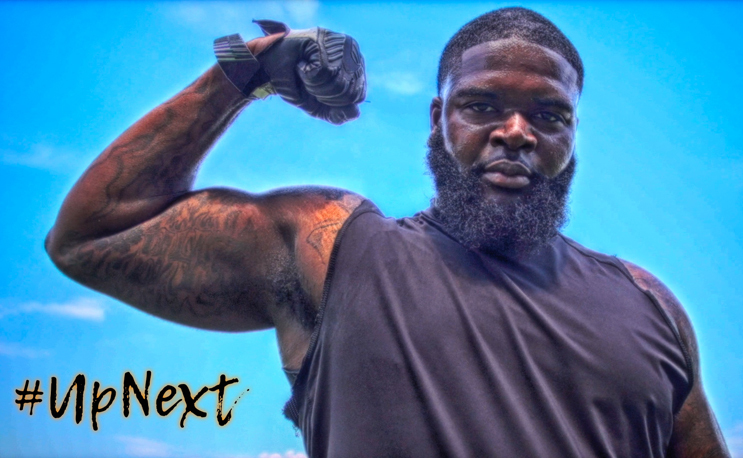 This work ethic is being documented in the upcoming Documentary “Up Next” which looks at Polite’s workout regimen and never give up attitude as he strives to make his dream of playing professional football a reality.